Once I got a taste for organizing playwrights, I thought… why stop at DC? I knew that for many playwrights, joining Twitter and finding playwrights to follow was a daunting task, so I curated a nationwide list of playwrights who tweet. The @IFollowPWs account on Twitter serves the sole purpose of following as many playwrights as possible… so that other playwrights can explore the account’s following list and find people to tweet with. Cool, huh? I’m assuming, of course, that you see the value of Twitter… but if not, maybe this might start to convince you. I suspect the list is also going to find other uses, somewhere down the road… but the fact that it’s offering a simple, handy service makes it more than worth the effort to maintain it right now. So: log into Twitter, follow @IFollowPWs, and I’ll follow you back within a few days or so. (I try to check in once a week.) And feel free to tweet me just to say hello! 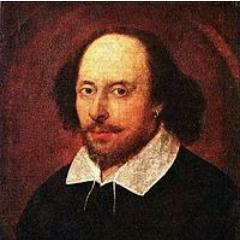 Oh, and… since so many people have asked why I’ve used Shakespeare’s likeness as the avatar for the account? I thought it was obvious: whether we like it or not, we’re all following Shakespeare. Aren’t we?